If an eight-game slate wasn’t enough for you on Friday night, how about a jam-packed 10-game feast on Saturday? If you aren’t a Swift Current Broncos fan, you’re probably getting sick of hearing his name. If you are a Broncos fan, chances are pretty good you can’t get enough. Aleksi Heponiemi was at it once again, adding another two points to his WHL-leading pre-season point total, which now stands at 12. Kootenay ICE top prospect Peyton Krebs found the back of the net for the second consecutive game, while Kirby Dach, second overall pick of the Saskatoon Blades, tallied his first two WHL pre-season markers. In Kamloops, former Blazer Jake Kryski registered two goals and four points to help the Kelowna Rockets to victory. In Regina, it was Sam Steel scoring twice, including the overtime winner, as the Pats avenged a Friday loss to the Tigers. There was a deep dose of two-goal scorers around the league, as Alex Overhardt, Brandon Hagel, Kryski, Steel, Austin Wagner, Dach, Kaden Elder and Morgan Geekie all tickled twine twice for their respective clubs. We’ll have more on each in their respective capsule. With that being said, let’s dig in. Kootenay ICE 2 vs. Portland Winterhawks 6 – Kennewick, Wash.
Winterhawks veteran Alex Overhardt scored twice to pace Portland, who also received scoring from Ryan Hughes, Evan Weinger, Lane Gilliss and Matthew Quigley over the course of the afternoon. Krebs scored his second short-handed tally of the pre-season 5:49 into the third period, cutting the Winterhawks lead to 3-2, but it was all Portland from there as Weinger, Gilliss and Quigley all scored in a span of 2:39 to kill any comeback hopes for the young ICE. Zak Zborosky registered the other goal for Kootenay, with Krebs assisting. The 20-year-old Zborosky returned the favour on Krebs’ short-handed effort. Despite Krebs’ short-handed goal, special teams downed the ICE Saturday, as the Winterhawks went 3-for-6 with the man advantage, while Overhardt’s second came while down a man. Jakob Walter turned aside 14 of 17 shots as he got the start for the ICE, while Declan Hobbs made 15 saves. For the Winterhawks, Cole Kehler and Michael Bullion combined to make 23 saves. The Winterhawks finish the WHL pre-season with a near-perfect record of 5-0-1, having not lost in regulation. The ICE fell to 0-1-2 with the loss and return north of the border to take on the Lethbridge Hurricanes on Sept. 15 (7 p.m. MDT) in Crowsnest Pass, Alta. Giants left winger James Malm and Royals right winger Ethan Price provided all the regulation scoring before the game was halfway through before Gunnar Wegleitner and Jack Walker tallied the only shootout goals to boost Victoria to a 2-1 triumph. The Giants went 0-for-8 with the man advantage, while the Royals were 0-for-5 on the afternoon. In net, Griffen Outhouse was good on 39 of 40 shots and perfect in the shootout to backstop Victoria, while Ryan Kubic turned aside 31 of 32 in a losing effort. The Royals moved to 3-1-0 with the win and head to the mainland to face the Giants on Sunday (2 p.m. PDT) in in Ladner, B.C. Meanwhile, the Giants faltered to 0-2-1 in pre-season action will head home to host the Royals on Sunday. 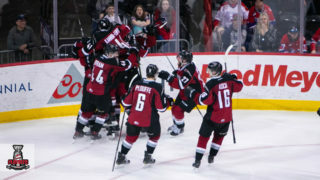 Red Deer Rebels 4 vs. Spokane Chiefs 1 – Kennewick, Wash.
Brandon Hagel beat Jayden Sittler twice in the first period and that’s all the scoring the Rebels needed Saturday afternoon. Austin Pratt and Brandon Cutler added second period markers to give Red Deer a commanding 4-0 advantage and it wasn’t until midway through the third period that Pavel Kousal got the Chiefs on the board. After the Rebels staked out a 4-0 lead, the contest turned into a penalty-filled affair as the two teams combined for 90 penalty minutes before the final buzzer sounded. Chiefs defenceman Jordan Henderson and Rebels forward Taden Rattie were tossed for fighting midway through the second period. Moments later, Chiefs centre Riley McKay and Rebels defenceman Austin Strand saw their days end early due to fighting majors. Neither team was able to cash in on any power play, as the Rebels went 0-for-2 and the Chiefs finished 0-for-6. Sittler took the loos for the Chiefs, allowing four goals on 17 shots before giving way to Matt Berlin, who blocked all 13 pucks sent his way. Riley Lamb went the distance for Red Deer, making 29 saves. The Rebels now sit 3-1-0 and return north to take on the Medicine Hat Tigers on Sept. 16 (7 p.m. MDT) in Ralston, Alta. The Chiefs find themselves 2-3-0 and will visit the Tri-City Americans on Sept. 16 (7:05 p.m. PDT). The Oil Kings jumped out to a 4-1 lead before the midpoint of the second period and weathered a furious third-period push for the Hitmen to claim a 4-3 win. 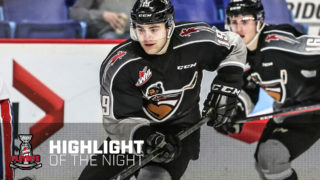 Jakob Stukel pulled the Hitmen within two goals with less than five minutes remaining in the third before Jake Bean tallied with only 22 seconds left in regulation to make it a one-goal game. Oil Kings centre Scott Atkinson and Hitmen centre Beck Malenstyn exchanged first-period goals. 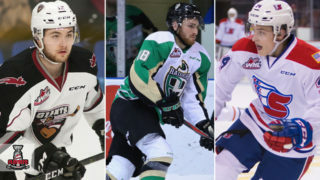 In the second period, Oil Kings 2015 first round pick Ethan Cap registered his first pre-season marker before Nicholas Bowman and Davis Murray rounded out the scoring. 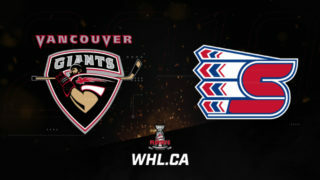 The Hitmen finished the night 1-for-5 with the power play, while the Oil Kings went 0-for-4. Liam Hughes made 25 saves to claim the win in net for Edmonton, while Nik Amundrud surrendered four goals on 20 shots before handing the crease over the Cody Porter. The Oil Kings drew even at 2-2-0 in pre-season action and will host the Saskatoon Blades in St. Albert, Alta., on Sept. 17 (7 p.m. MDT) to close the exhibition season. The Hitmen pulled to 2-2-0 and head to Crowsnest Pass, Alta., to play the Lethbridge Hurricanes on Sept. 16 (7 p.m. MDT). 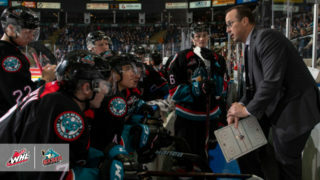 Friday night, the Rockets and Blazers combined to score one goal in Kelowna. Saturday night in Kamloops was a different story as the two teams combined for nine tallies. Former Blazer Jake Kryski got the last laugh on his old team, scoring twice and adding two assists to boost the Rockets. Braydyn Chizen, Kole Lind and Kryski all scored in the first period to get the Rockets ahead early before import Rudolfs Balcers got the Blazers going 7:29 into the second period. The Blazers didn’t muster much momentum from the 19-year-old Latvian’s second goal of the pre-season as Tate Coughlin and Tanner Wishnowski scored 71 seconds apart and only 68 seconds after Balcers. Kryski added a power-play tally for good measure to make it 6-1 before Travis Walton and Matt Revel rounded out the scoring for Kamloops. Three power-play goals weren’t enough to fuel the Blazers, while the Rockets went 1-for-6 with the man advantage. In the blue paint, Brodan Salmond made 32 saves to backstop Kelowna while new Blazer Carter Phair was victimized five times on 28 shots before Dylan Ferguson took over and made nine saves on 10 shots. Kamloops dropped to 1-3-0 in pre-season play and will visit Prince George on Sept. 16 (7 p.m. PDT) to wrap up the slate. Kelowna soared to 3-1-0 with the win and finishes exhibition action on Sept. 16 (7:05 p.m. PDT) by hosting the Vancouver Giants. Tanner Jeannot and Brett Howden each collected a goal and an assist as the Warriors topped the Wheat Kings on Saturday. Warriors right winger Ryan Bowen opened the scoring in the first period before Wheat Kings veteran Reid Duke knotted the game 1-1 midway through the second. Less than a minute after Duke tied the game, Brayden Watts put Moose Jaw ahead for good and Jeannot followed up 35 seconds later to provide the insurance. Howden added one more for good measure in the third period. The Wheat Kings went 0-for-6 on the power play, while the Warriors were also blanked, going 0-for-7. In net, Zach Sawchenko was a rock, making 32 saves for the win. At the other end, Hunter Arps faced 39 shots, making 35 saves for the Wheat Kings. The loss leaves the Wheat Kings (0-2-0) winless in pre-season play. Brandon will look to burst the bubble on Sept. 14 (1 p.m. CDT) when they play the Regina Pats in Ochapowace, Sask. 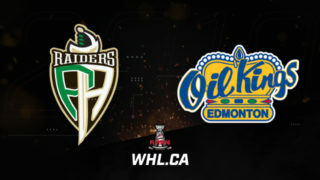 The Warriors rolled to 3-2-0 and will visit the Prince Albert Raiders on Sept. 15 (7 p.m. CDT). The Tigers and Pats exchanged goals from start to finish before Anaheim Ducks prospect Sam Steel struck on a power play in overtime to give Regina a 5-4 victory. Steel finished the night with two goals, having also opened the scoring in the first period. Austin Wagner also struck twice for the Pats, while Adam Brooks and Riley Woods added two helpers apiece. For the Tigers, it was import John Dahlstrom doing some heavy lifting as he notched a goal and an assist. Veteran Tyler Brown went start to finish for the Pats, making 34 saves for the win. At the other end, Duncan McGovern started for the Tigers, turning aside 21 of 24 before Nick Schneider came on to stop 15 of 17 pucks sent his way. Regina improved to 3-2-0 with the victory and will play the Brandon Wheat Kings on Sept. 14 (1 p.m. CDT) in Ochapowace, Sask. The loss dropped Medicine Hat to 2-2-0 to this point in the pre-season. The Tigers will aim to get back in the win column on Sept. 16 (7 p.m. MDT) when they play the Red Deer Rebels in Ralston, Alta. Prince Albert Raiders 7 vs. Saskatoon Blades 5 – Warman, Sask. Kirby Dach was the first star of the game, tallying two goals and an assist, but it wasn’t enough for the Blades to emerge victorious, as Kelly Parker responded with a three-point effort of his own and Kolten Olynek registered the game-winning goal for the Raiders. Sean Montgomery kickstarted a four-goal third period for the Raiders, with Spencer Moe piling on before Olynek scored the game-winner with 5:57 to play. Tim Vanstone scored into the empty net to ice the win for Prince Albert. Both clubs went 2-for-7 on the man advantage. Veteran Rylan Parenteau made 27 saves to guide the Raiders home, while Brock Hamm was victimized six times on 33 shots. Prince Albert improved to 2-1-0 in pre-season play and will host the Moose Jaw Warriors on Sept. 15 (7 p.m. CDT). Saskatoon fell to 2-3-0 and will look to get back to .500 in their pre-season finale on Sept. 17 (7 p.m. MDT) when they play the Edmonton Oil Kings in St. Albert, Alta. Broncos import Aleksi Heponiemi didn’t find the back of the net Saturday, but that didn’t matter. He’s characterized himself as a playmaker anyways and make plays is what he did, collecting two assists to boost his league-leading point total to 12 and spur Swift Current to a 5-2 triumph. Logan Barlage, 2016 fourth overall pick of the Broncos, notched the game-winning goal midway through the second period, while Kaden Elder (twice), Tyler Steenburgen and Arthur Miller provided the support. Ryan Vandervlis and Tyler Wong responded for the Hurricanes, but it wasn’t enough. Rookie Adam Swan gave up four goals on 30 shots for the Hurricanes, while Taz Burman blocked 20 of 22 for the Broncos. The loss puts the Hurricanes at 1-3-0 with a date against the Kootenay ICE next up on Sept. 15 (7 p.m. MDT) in Crowsnest Pass, Alta. The Broncos sit atop the East Division at 4-1-1 and will host the Prince Albert Raiders Sept. 16 (7 p.m. MDT). A three-goal third period lifted the Americans to a 4-2 triumph over the Thunderbirds in the finale of the Red Lion Inn Pre-season Tournament Saturday night in Kennewick, Wash.
Americans import defenceman Jusso Valimaki and Thunderbirds defenceman Ethan Bear traded goals over the first 40 minutes of play before Tri-City clicked for three power-play goals in the third period to run away with the win. Morgan Geekie started the slide for the hosts before Alexander True pulled Seattle even at 2-2. Parker Wotherspoon notched the game-winning goal with the man advantage at 8:33 of the third and Geekie added an insurance tally, once again on the power play. When the final buzzer sounded, the Americans had gone 3-for-5 with the extra man, while the Thunderbirds were only 1-for-5. Nicholas Sanders backstopped the Americans with 18 saves and even managed an assist along the way. At the other end, Logan Flodell took the loss, allowing four goals on 25 shots. The Americans are now 3-3-0 and will host the Spokane Chiefs on Sept. 16 (7:05 p.m. PDT). The Thunderbirds stumbled to 3-2-0 and round out their pre-season Sept. 17 (7:05 p.m. PDT) in Everett. Victoria Royals vs. Vancouver Giants (2 p.m. PDT) — Ladner, B.C.